But this post isn’t just about my hair. Instead, it’s about something else entirely. How many of us experience a disappointment or setback – and days, weeks, months, and even years after it occurred, we claim we can’t move forward because we’re “stuck” or we just can’t “get past” what happened? When disappointments and letdowns happen, most of us have a tendency to think about, ponder, chew on, ruminate, and mull over what transpired OVER and OVER and OVER again. The triggering event may be long over – and the only thing keeping it alive is our thinking about it. What would be possible if every time we caught ourselves thinking about our disappointment – that instead of fueling the fire with more thoughts about what occurred, we GENTLY NOTICED our thinking instead? That’s all. NOTICED IT. In the next moment, what might happen if we SOFTLY shifted our focus away from the undesirable thinking and perhaps shifted our thinking toward something we DO desire? Eventually, our thoughts would settle. Little by little, space would likely open in our minds for insights and solutions. Bit by bit, we’d untether ourselves from our thinking. Gradually, we’d get unstuck. Step by step, we’d start moving forward in a new way. The red hair color I’ve loved (and used) for years (Garnier’s “Hot Tamale”) was discontinued. Yesterday, I tried a new red (pictured here). Ultimately, it ended up being way TOO red for my taste. When I initially saw this fire engine on my head reflected back to me in the mirror, I sighed with disappointment. 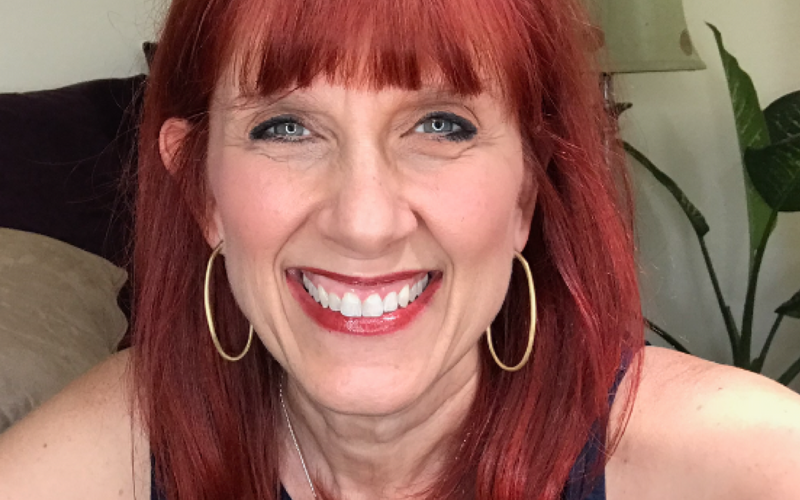 But much like my freshly dyed hair that looks way too red at the moment, when we’re WILLING to CHOOSE to release our attachment to our thinking, something happens OVER TIME to all that thinking that’s keeping us stuck….